Louisa Jane Davies (1822 – 1863) married her music teacher, Joshua Frey Josephson, on 1 December 1838. Joshua was a solicitor, the eldest son of Jacob and Emma Josephson of Enmore House. Joshua Frey Josephson began his early career as a pianist, flautist, and vocalist. He became a music teacher Mrs Davies Dame School, where he met Louisa. She was only 16 at the time of her marriage. In 1838 Joshua Josephson was articled to James Norton, and admitted as a solicitor in 1844. He became Solicitor General under Sir John Robertson, He was elected to the Sydney City Council from 1844 to 1851, and was a Justice of the Peace. In 1856 Joshua travelled to England taking his wife and 10 children with him. Two more children were born in London. When the family returned to Sydney, it was to a renovated Enmore House. Louisa’s 13th child was born soon after their arrival in 1862, and another child followed in 1863. Louisa, however, suffered complications from this birth, and died the day after the child was born. Joshua’s mother, still living in the house, cared for the family with the help of the older siblings. Joshua married his second wife, Katherina Frederica Schiller in 1868, after the death of his mother in the same year. This couple had 2 children before the death of Katherina in 1884. In 1891, Joshua married Elizabeth Geraldine Brennan, at the age of 76; she was about 36. Joshua died the following year, and Elizabeth died in 1916. 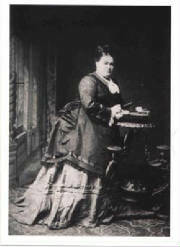 Margaret Emma Davies (1823 – 1889) married John Robertson. He was the son of James Robertson and Anna Maria Ripley, and was a farmer and politician. Margaret was also only 16, although John was 23. They met through his friendship with Joshua Frey Josephson. John Robertson and ‘Madge’ settled at Strowan, the second homestead at Jerry’s Plains. In 1846 they moved to ‘Yarrandi’, Scone, where they grew wheat. They were joined at this time by John’s brother Brisbane. For further notes on John Robertson, go to the James Robertson Web Site.